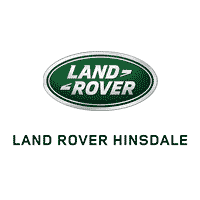 Land Rover Hinsdale has a great selection of pre-owned vehicles. From a drawing in the sand in 1947 to the latest in design and innovation, Land Rover has a rich heritage and unstoppable spirit that has inspired fans to go ‘Above And Beyond’ all over the world. Visit us at Land Rover Hinsdale where you can select a World Class vehicle in a first rate setting. Our professional sales and service staff will ensure you get the treatment you deserve.